Get up to 7 free auto shipping quotes from the largest, most trusted Maryland auto transport companies and save up to 50% on your car shipping rates at CarMoves.com. Car shipping companies in Maryland compete for your business, which is how you can save hundreds, if not thousands of dollars on car transport services by shopping with us. Whether you're shipping a car to Maryland, across the country, or even overseas, we can help you get the best price on your shipment - guaranteed! Read more about the following auto transport companies in Maryland before getting a quote. Click on the name of the company to read a full review. 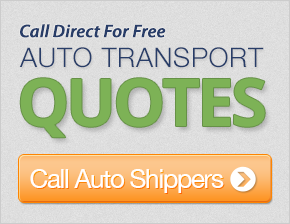 Get a free auto transport quote today to find out how much it costs to ship a car to or from Maryland! Bordered primarily by Pennsylvania to the north and Delaware to the east, Maryland is one of the smallest states in the country. It also happens to be the narrowest state, with a portion of the state being just 2 miles wide. With many differing geographical characteristics, the state has earned the nickname "America in Miniature" for its stark and varied features, including sandy beaches, pine tree forests, and marshes. Maryland is fairly heavily populated, consisting of many suburbs surrounding its principal city, Baltimore, as well as numerous people living outside the Washington DC area. 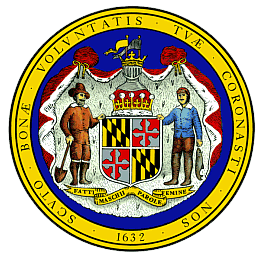 In terms of business, Maryland has a number of successful industries, including a significant commercial fishing sector off of Chesapeake Bay. Shipping and imports are often brought in and sail out of the Port of Baltimore, making it key part of the city's economy. Like many states on the mid-Atlantic coast, Maryland also maintains a large and varied agricultural production that grows cucumber, sweet corn, peas, tobacco and tomatoes, just to name a few. Finally, jobs are aplenty in the state's growing technology industry, including many in the biotechnology, computer gaming, and other fields. Many of Maryland's cities, including Bethesda and Rockville, are considered some of the best places to live and raise a family in the United States. Education is particularly strong throughout the state, with both John Hopkins University and the University of Maryland, Baltimore being well regarded at the national level. Sports are also a significant part of the state's culture, as the Washington Redskins, Baltimore Ravens, Baltimore Orioles and several Washington DC-based sports teams all popular with Maryland residents. Maryland has something for just about everyone; it's clearly one of the most desirable states to live in in the entire US. CarMoves.com works with car shipping companies throughout the state of Maryland. We can help you get the best prices on car transport services to the following cities in Maryland: Baltimore, Columbia, Germantown, Silver Spring, Waldorf, Glen Burnie, Ellicott City, Frederick, Dundalk, Rockville, Bethesda, and many more. If you don't see your city listed, don't worry - we can get your vehicle shipped anywhere in Maryland. Scroll to the quote section on this page to compare free auto shipping quotes from up to 7 Maryland auto transport companies and save up to 50% on your move! View the Maryland Department of Transportation website for more information.